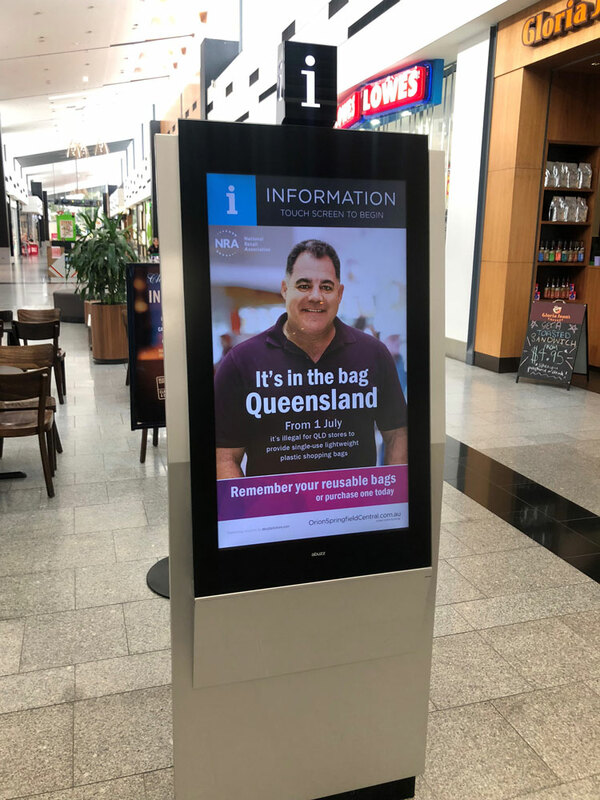 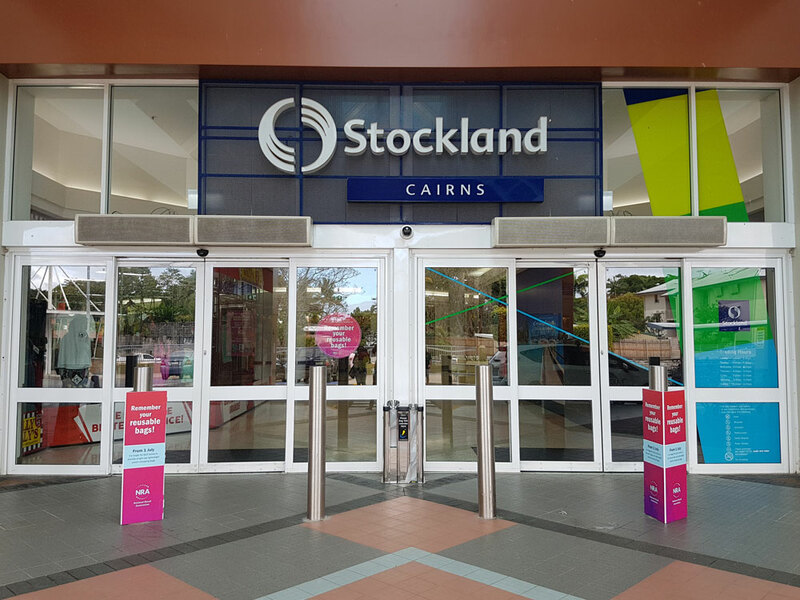 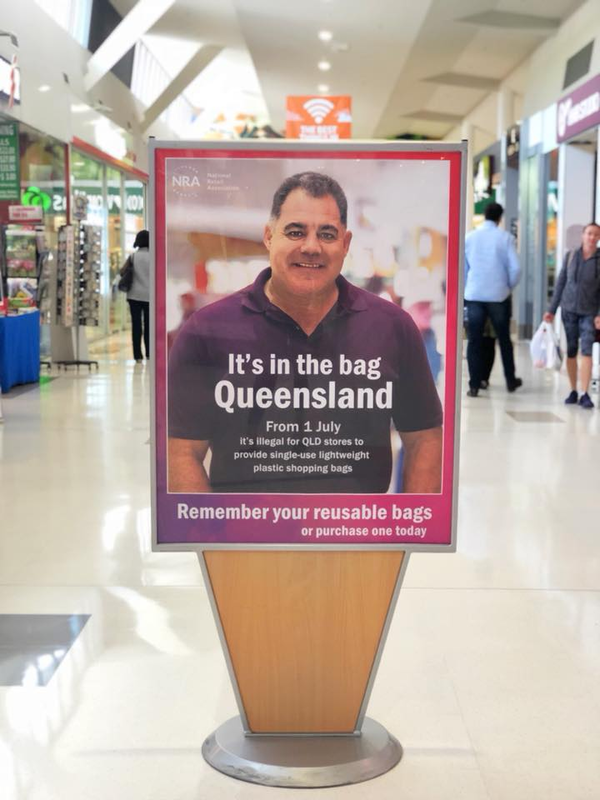 Over 100 shopping centres across Queensland have come on-board in support of the National Retail Association’s campaign to educate and prepare consumers in preparation for 1 July. 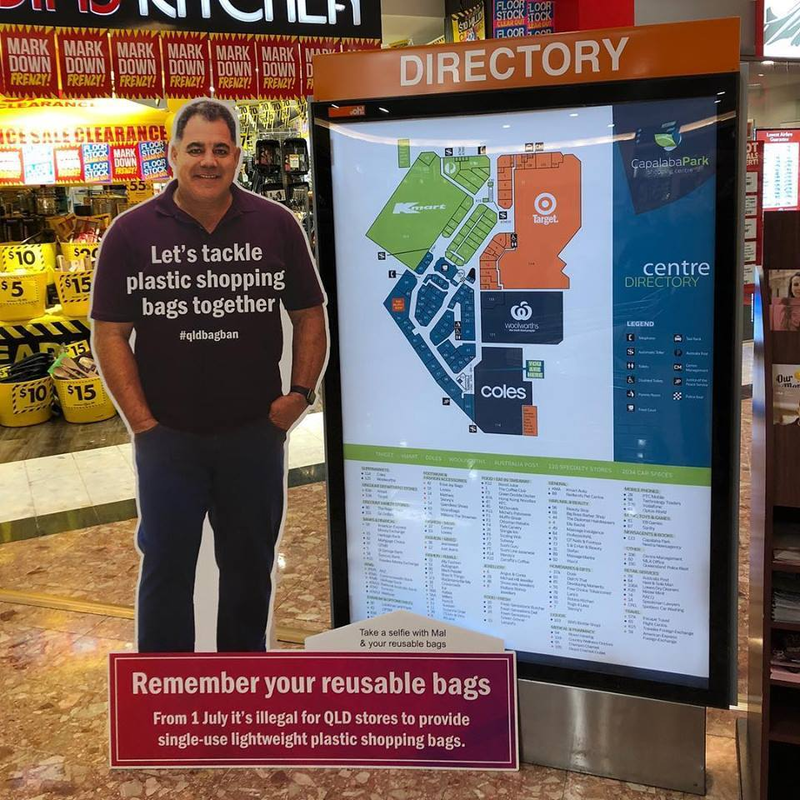 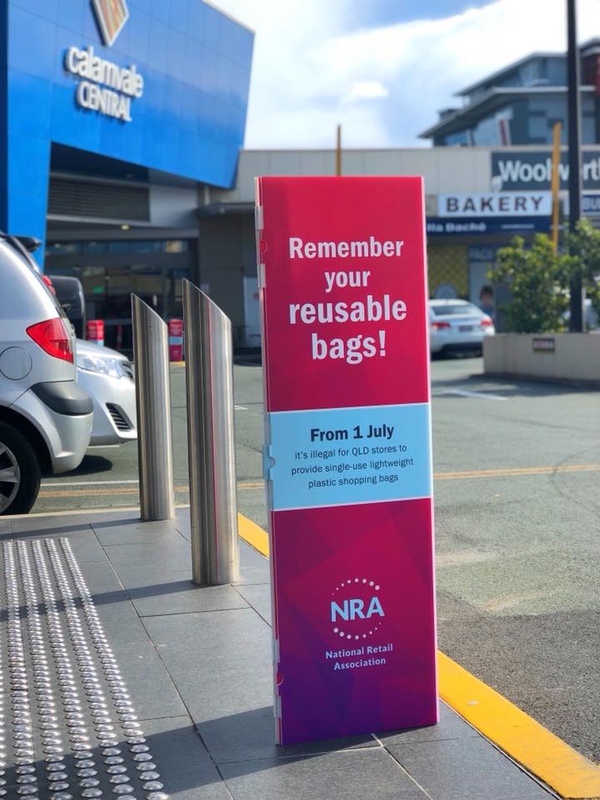 Small to large shopping centres across the state are proudly displaying signage from the NRA which focuses on reminding customers to bring their reusable bags. 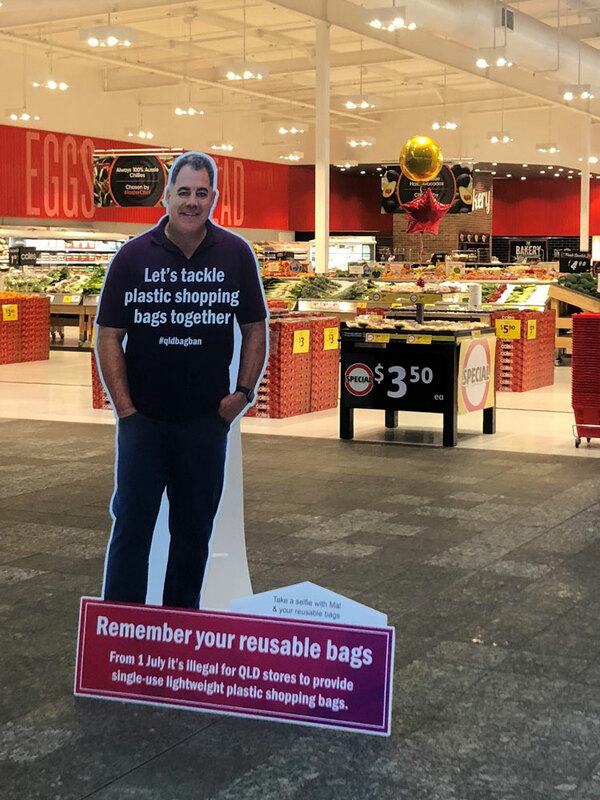 Pictured above: Aspley Hypermarket goes the extra mile with a dedicated display.